What year was battle of red cliffs for fruit ninja on the iPad 2? What was the year of the red cliffs battle on fruit ninja. What is the number for "what is the year of the battle of the red clif..
Whats the score of the battle of the red cliffs for fruit ninja on the.. In fruit ninja, one of the achievements is: get a score the same as th..
Our mini guide to the crazily addictive mobile game, Fruit Ninja. The year of 208 A.D. Hosted the Battle of Red Cliffs. So to achieve the score to attain the firecracker blade you must achieve a score of exactly 208 in either zen mode, arcade mode, or if you have the lite version you can get this blade on classic mode. I am still try to get the fire cracker blade.other than than that I have every thing elsts. That is a blade :P or watevez.......SWORD!!! that's the ticket! Defiantly 208 b.c.e. Use classic mode!! It is the only one that will work!! Remember that!!! It took place 4 days after sams birthday roughly 189bc. It is 208 A.D. Don't forget tho that arcade gives a bonus so the better methods are classic and zen modes. I know the score the score is 250 if I remember correct. 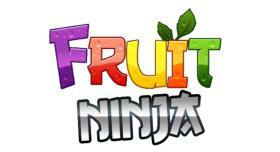 Search for more answers for Fruit Ninja or ask your own question here. What was the year of the red cliffs battle on fruit n..
Whats the score of the battle of the red cliffs for f..
How do you unlock the bamboo shoot blade, the party t..
same score as year of the battle of the red cliffs Wh..
Battle of the red cliffs What is year is the battle ..
What year was battle of red cliffs f..
same score as year of the battle of ..
For the shadow blade I cannot unlock..